Organisers of the Nigeria Professional Football League – the League Management Company (LMC) – has announced that the abandoned NPFL Match day 38 game between Gombe United and Wikki Tourists be completed on Saturday (tomorrow) at the El-Kanemi Sports Centre in Maiduguri. The match last weekend, had to be stopped abruptly by the officials when Gombe United fans began protesting after their player Maurice Chigozie prodded in an own goal. It will be continued from its discontinuation point behind closed doors at the neutral ground in Maiduguri. According to the LMC, Gombe United’s home ground, the Pantami Stadium, has been banned two years, will forfeit three points from the ones to be accrued in the NNL next season and a fine of N7m for failing to control their aggrieved fans who encroached the pitch and hurled missiles onto the field of play during the game. 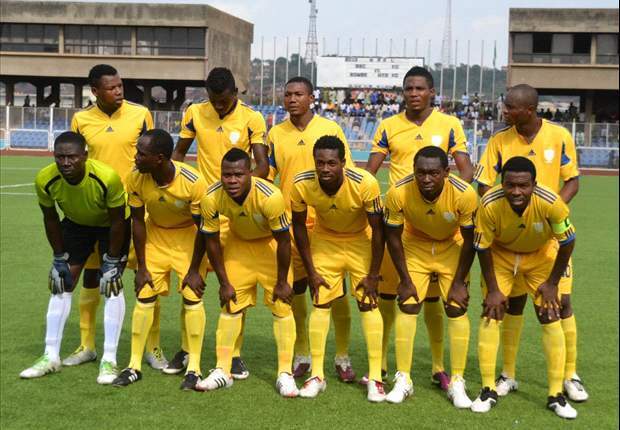 Victory for Gombe United will see Wikki Tourists currently on 50 points, join the Gombe-based team, ABS and Remo Stars in the Nigeria National League (NNL). Also, defeat for Wikki will mean Shooting Stars also on 50 points, will avoid relegation. A win for Wikki will save them from relegation. Wikki Tourists led 1-0 before the game was abandoned after 27 minutes.